The insurance sector, which is considered to be fairly traditional and resistant to change, is currently being overtaken by a macro trend of digital transformation. This is causing institutions with hundreds of years of tradition to rethink their insurance business models, by identifying modules within their own value chain that need to be transformed or reinvented with the help of technology and data usage. InsurTech represents a macro trend destined to take on an ever-growing relevance in a world which tends toward hyperconnectivity and the infiltration of technology into all aspects of society. The insurance business will become more InsurTech-oriented, and technology will have a decisive role in reaching strategic goals. This applies to insurance companies, reinsurers, intermediaries and newcomers. During 2015, InsurTech startups received around $2.5 billion in funding, according to LTP. The number of innovative initiatives is growing exponentially, raising interest for all phases of the customer journey and all steps in the insurance value chain. This reveals a very crowded map of innovations that were introduced by the incumbents of the insurance sector or by startups. The innovations can be divided into seven macro areas: awareness, choice, acquisition, use, recommendation, Internet of Things (IoT) and peer-to-peer (P2P). One of the main challenges for analysts, incumbents, startups and investors is identifying the degree of relevance that these innovations represent for the insurance sector. 1 Profitability: Impact which an innovation may have on the level of profitability of the insurance portfolio, acting on the loss ratio level or on the cost level without an increase of volumes. 2 Proximity: Contribution for creating improved relationship that is based on numerous touchpoints during the customer journey. Bain’s international research reveals that the customer satisfaction (measured with the Net Promoter Score approach) of those clients that have interacted directly with the insurance company is markedly superior to those who have not. Obviously, there is a predictable relationship between satisfied clients and their economic effects. 3 Persistence: The reach of the new initiative in terms of renewal rate increase, and thus of stabilization of the insurance portfolio. 4 Productivity: Evaluation of the contribution that a certain InsurTech approach can have at the top-line insurance level in terms of new client acquisition, cross-selling or additional fee collection for services. These considerations refer to a specific innovation initiative and are not absolute. On the contrary, they should be customized to each specific market, line of business, and client segment. In a similar manner, an insurance company has to make these considerations by taking into account both the contribution brought toward the achievement of strategic priorities and the coherence with its distribution approach. I am convinced that evaluating InsurTech opportunities based on this pragmatic approach clarifies the rationale behind each innovation initiative. It facilitates the prioritization of initiatives and ultimately helps focus investors’ and innovators’ efforts. • Profitability: From this perspective, the experience of the Italian insurance market in motor telematics (which is the most advanced market at an international level, with a 16% penetration for private use vehicles) shows how this approach is able to generate actual value for the insurance bottom line by acting on risk selection and the claims management process. • Proximity: Nowadays, within the connected car line of business, there are dozens of different services based on data collected from black boxes—services which the insurance company offers to the final client. By focusing instead on health insurance business, the Chinese insurer Ping An has built an initiative based on connected health that recently raised a round a financing of $500 million, with an evaluation of $3 billion. • Persistence: The experience of Discovery Holding in the field of protection has shown relevance when it comes to reducing the lapse rate by using the Vitality approach—which works by identifying and rewarding healthy behaviors. • Productivity: The data recorded by sensors represents a great opportunity for getting to know customers and to send personalized offers at the best moment possible. This potential, which is yet to be explored, is precisely the driver that helped create the startup Neosurance, recently awarded the IoT Newcomer award at the Insurance IoT Europe Summit. These insurance approaches suggest the use of sensors for data collection for different business lines. This data refers to the status of an insured risk, and to the telematics for remote transmission and informatics management, alongside the insurance value chain of the collected data. These approaches represent a great opportunity for connecting the insurance sector with its own clients and their risks. 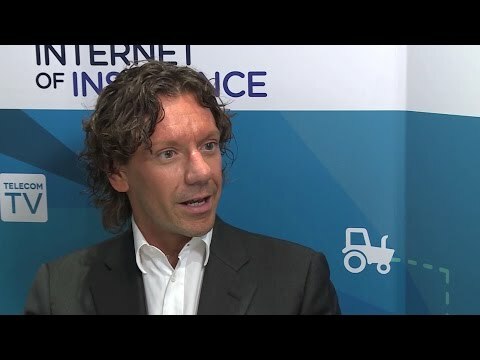 Italy is today one of the most advanced ecosystems of connected insurance, encompassing 4,9 million auto insurance contracts, which include a box provided by the company, and almost 50,000 home insurance contracts, which are characterized by the use of sensors communicating with the company. In this context, the Connected Insurance Observatory was born: a think tank dedicated to spreading the culture of insurance innovation. I put together the Observatory at the beginning of 2016 with the support of the Italian National Association of Insurance Companies (ANIA). The Observatory has made it possible to unite 30 primary Italian and international insurance groups and some 15 other interested players to bring a contribution to the InsurTech story in the making. Tags: #Technology, #distribution, #autonomous cars, #italy, #digital, #Connected Cars, #Autonomous Vehicles, #InsurTech, #Digitalization.